The genesis of this piece was a residency entitled ‘Géographies variables’ at La Chambre Blanche in Quebec City. There, I created an interactive web work in which this landscape is littered with claret scars and knots of thread—when hovered over with a cursor, a voice relates the story of the scar. Each account was compiled during the The Scar Project (2005-14??) where I asked participants to recreate one of their scars on canvas, and write its story. 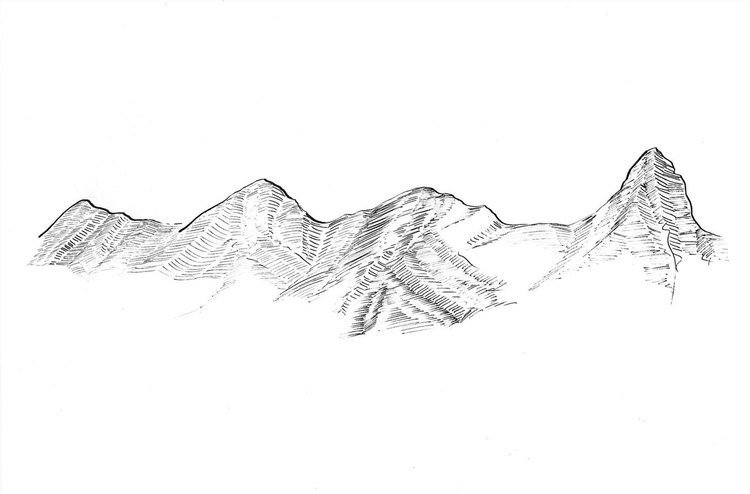 This terrain where they lay evokes the landscape of the body, with its lines like fingerprints, and marks like strata map the topography of our experience. whose imagery suggests abstract notions of the woven, fragmentation, attachment, and weightlessness. Contained within a small window or prism, these floating ribbons echo the need to make solid a memory, while simultaneously recognizing that in doing so perpetuates an unravelling. Concerned with multiplicity, migration, folklore, and the supernatural, Marigold Santos’ work functions in the realm of the otherworldly. “how we remember is how we forget” continues with this on-going exploration. Appearing like totems of our consumer culture, my recent series of collage works have been made using primarily IKEA catalogues and décor magazines in order to explore our contemporary image practices involving advertising, design and commodity fetishism. 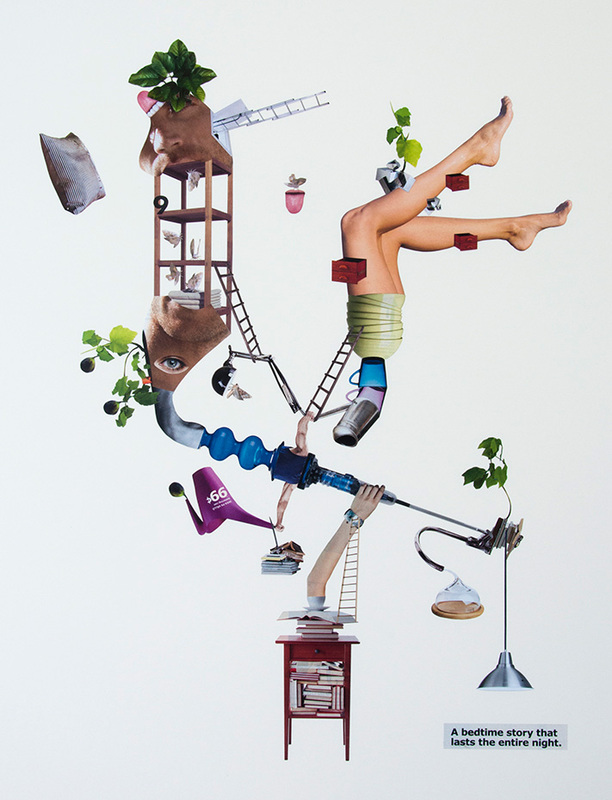 In these rather surreal structures, objects seem not only to be metamorphosing into subjects (or vice versa), but also behave like animate beings with a will of their own. As a result the idea of “Total Design” is key to the reading of this body of work, the notion that essentially everything nowadays is mediated through design, from jeans, to holidays, to houses, to our own bodies. Thirty individual stones make up the larger piece of Apparatus creating an echo to the social body, institutions, landscape and environment we live in. Each limited edition block act as a piece of the puzzle, reminding us of our interconnectedness within our societies. Wood and copper speak to the materials that could be found before our cities were built, while the industrial cement evokes the geometry and layout that physically define us while we walk in them. The dragonfly is my totem insect. I draw and redraw it incessantly, often adding human limbs, usually female ones. At once delicate and cruel, gentle and fierce, a winged fairy, but also a water creature in its larval form, this small and delicate monster accumulates contradictions and metamorphoses … Exactly what I hope for myself, in fact. 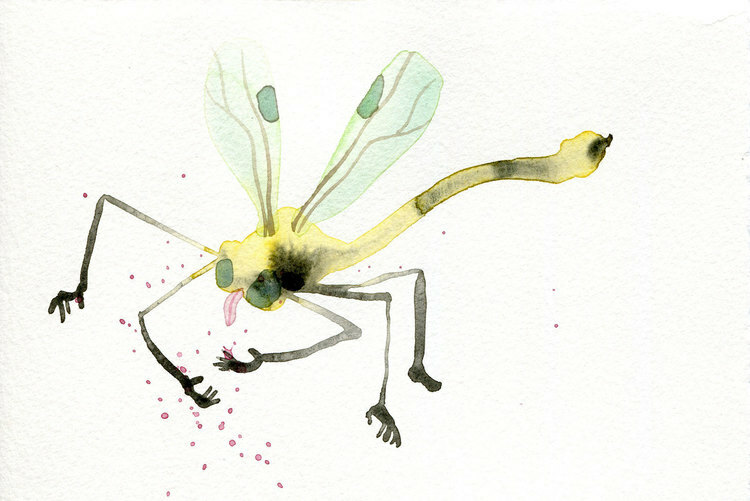 I responded to Rhonda’s ‘carte blanche’ invitation, with small watercolours of anthropomorphic dragonflies, both identical and different, each transformed by fleeting moods, sensations and desires. Small traveling fairies drawn in northern Norway, inside the Arctic Circle, lit by the midnight sun. From the end of the world, you are receiving a traveling fairy, quite sassy at times. She is strong-headed, listens to no one, and goes where she pleases. Tonight, you may want to put them side by side and observe their variations! For a few months now I have been breaking glass objects and trying to put them back together. Despite wanting to control how the objects break, I must accept the instantaneous transformation and the slow process of repair. 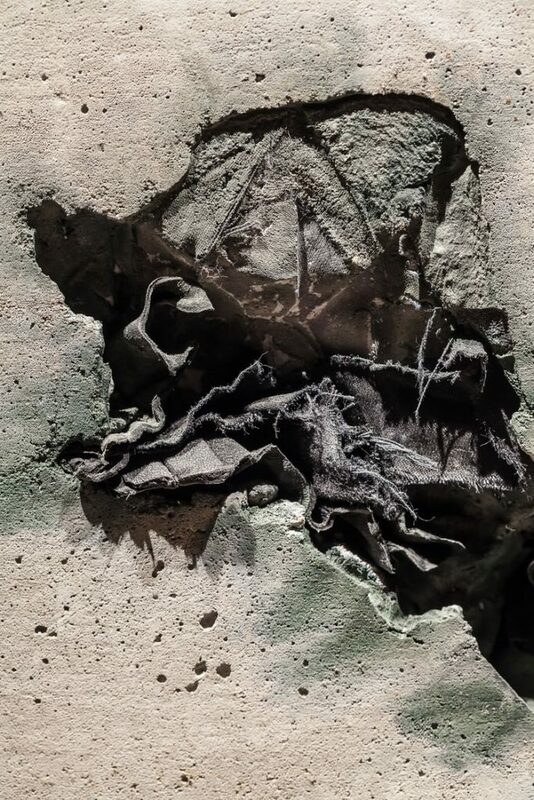 The resulting sculptures and images are not a reflection of a dramatic shattering, but of the care and patience that comes from the mending process. In many cases I merge several glasses, so that they seem to be reaching towards each other, seeking support or wholeness. In a world in which we desire the new, I am trying to portray fragile lived experience. 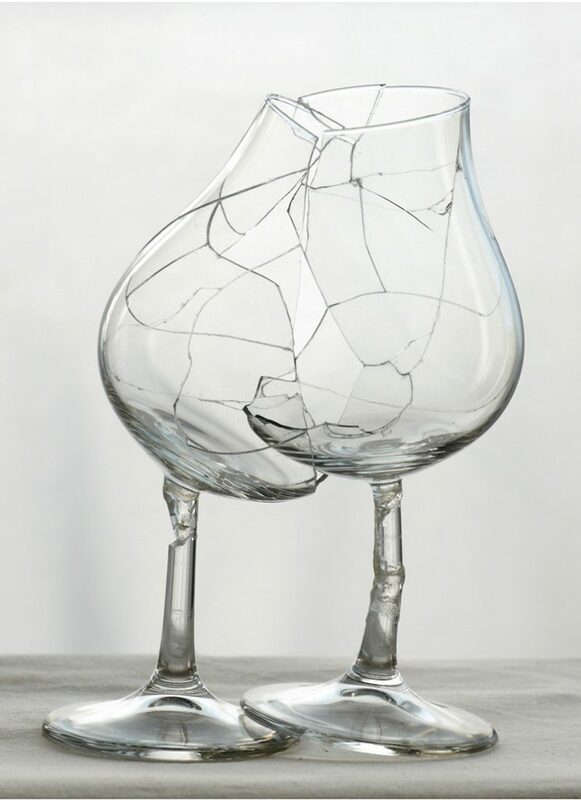 For the continuation of this project, I will ask people to entrust me with a few of their own glass objects to break and repair into different configurations before their return. Commissioning a stranger to alter these personal objects will heighten the themes of chance, trust and vulnerability that are already present in the sculptures and images of the work. Please contact me through rachelechenberg.net if you are interested in taking part. 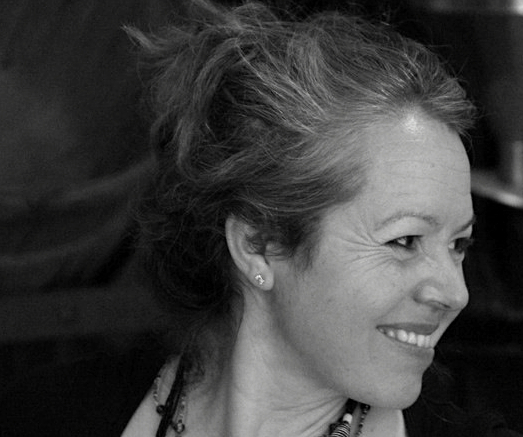 For over a decade, Rhonda Meier has been an independent curator, writer, editor, and educator. Meier holds an M.A. from Concordia University in Art History. Since curating her first exhibition at the University of Lethbridge Art Gallery in 1990, she has mounted numerous exhibitions, mostly in artist-run centres. 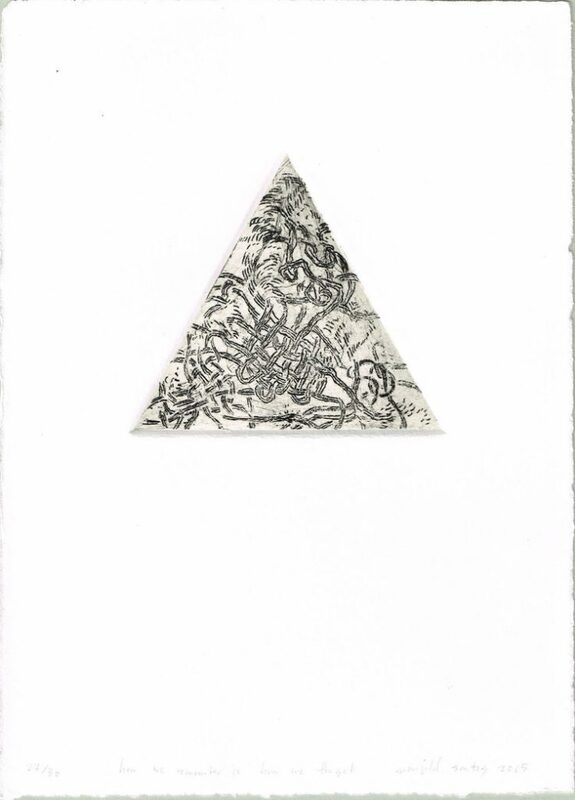 In 2002 she curated Nadia Myre’s first major solo exhibition Cont[r]act: new work by Nadia Myre at Oboro Gallery. 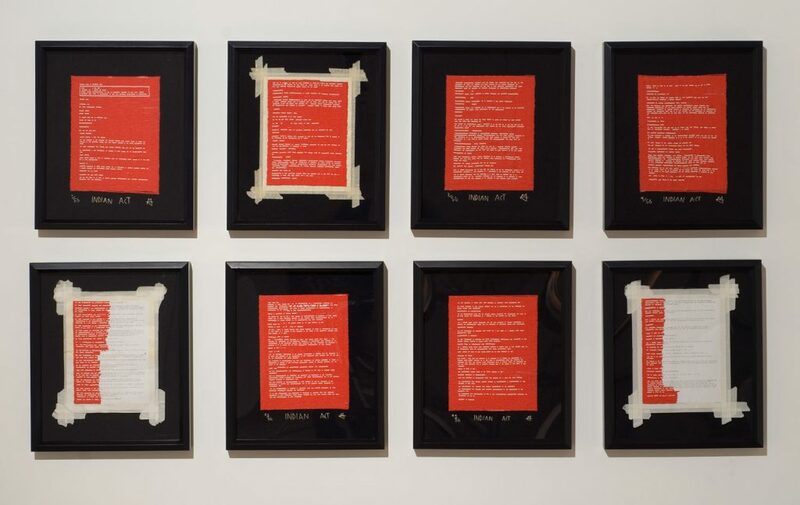 Her most recent co-curatorial project, The Rebel Yells: Dress and Political Re-dress in Contemporary Indigenous Art was shown at Concordia’s FOFA Gallery in May, 2015. A former educator at the Musee d’art contemporain, she has worked extensively with artist-run centres, including articule, where she is currently president of the board. In addition, she is an administrator on the board of VIVA! Art Action performance festival. 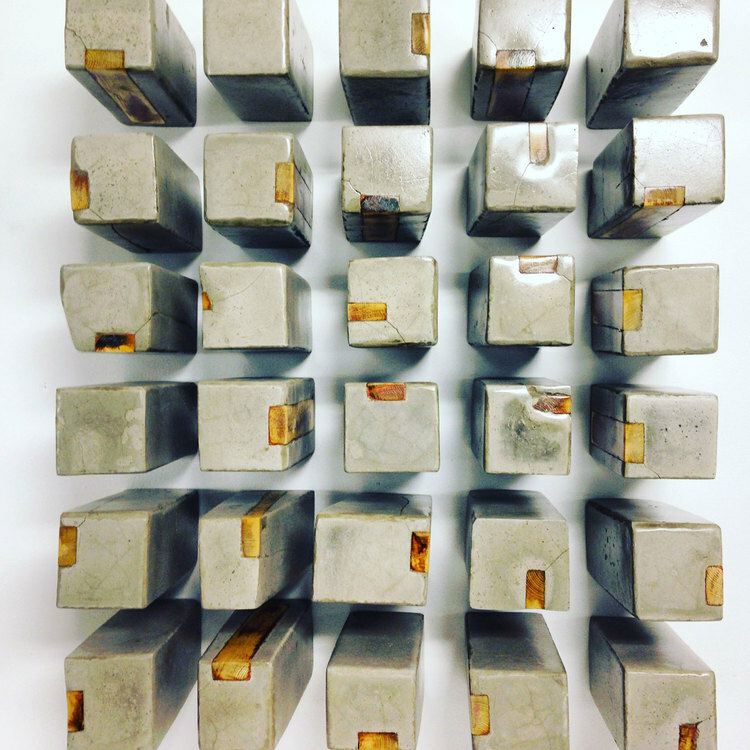 Meier has published in Canadian Art, C Magazine, and in Changing Hands for the Museum of Art and Design, New York. My interest lies in art which does not reveal itself completely; which keeps some of its secrets. There may be slight differences each time you look at it, so it consistently provokes, surprises, or intrigues. When it occupies a place in your home, it may become a counterpoint to your daily experience–it questions, it provokes, it interjects—a reminder of another perspective, another existence, another reality which may grace your physical place, and stimulate your mental space. For this first edition of Partage, I am particularly interested in artists who explore ideas and modes of gathering and assembling. Within these actions are notions of repetition, recurrence, and emergence which resonate with the Partage project itself and also reflects back on my own interest in work that is layered and divulges more meaning over time. Juan Ortiz-Apuy is a Montreal-based artist with origins in Costa-Rica. His work has been exhibited across Canada and internationally. Recent exhibitions include The MacLaren Arts Centre, SPOROBOLE, ARTSPACE, Quebec City Biennial: Manif d’Art 7 and many more. In 2011 he was the recipient of the Halifax Regional Municipality Contemporary Visual Art Award. Sobey Art Award winning artist Nadia Myre is visual artist from Quebec and an Algonquin member of the Kitigan Zibi Anishinabeg First Nation. For over a decade, her multi-disciplinary practice has been inspired by participant involvement as well as recurring themes of identity, language, longing and loss. Her work has received accolades from the New York Times, Le Monde, The Washington Post, Le Devoir, and has been featured in ARTnews, American Craft Magazine,ETC, Parachute, Canadian Art, C Magazine, Monopol, and ESSE. In my practice, I explore the ways in which ideas of self can become multiple, fragmented, and dislocated and then re-invented and created through a reflection of what is considered home. Through my imagery, I seek to negotiate the narratives of past and present; in their re-telling and reconfiguring, they transform to become personal myth whose imagery functions in the fantastical and otherworldly. This is the realm of play where I situate my work. Caroline Boileau is pursuing a reflection on the body and health through a practice combining performance, drawing, video and installation. 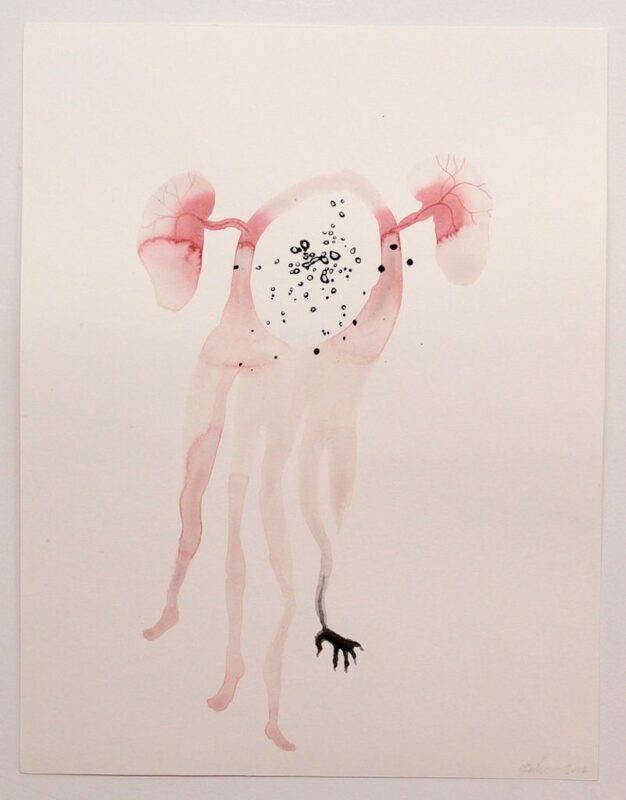 She delves into the various ways in which one can inhabit, depict and talk about the body. 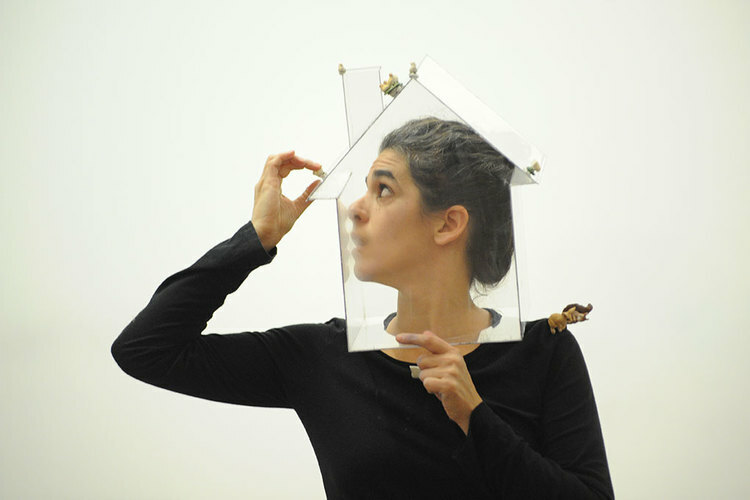 Rachel Echenberg (Montreal, Quebec) is a visual artist who primarily works in performance and video. Echenberg’s continual interest in possibilities for active empathy has lead to artworks that highlight vulnerable, intimate and uncontrollable relationships. Caroline Monnet (1985) is a self-taught multidisciplinary artist of Algonquin ancestry from Outaouais, Québec. 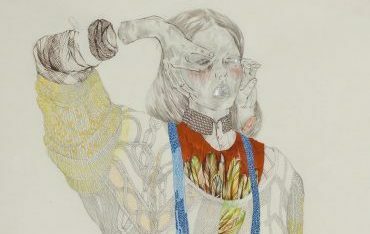 Her work demonstrates a keen interest in communicating complex ideas around Indigenous identity and bicultural living through the examination of cultural histories.